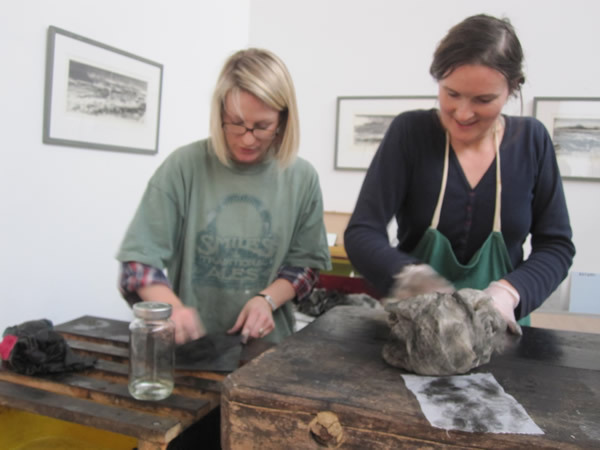 After his inspirational talk on Thursday night, Jason Hicklin ran a two day etching from life workshop where students drew from a life model direct onto a plate and creating a series of etchings. 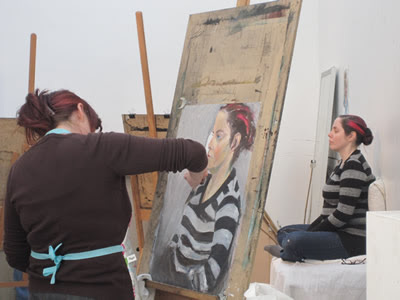 We originally ran this course back in Autumn 2008 as a one day workshop and it again proved popular, with two day format giving students a bit more time to practise the techniques. 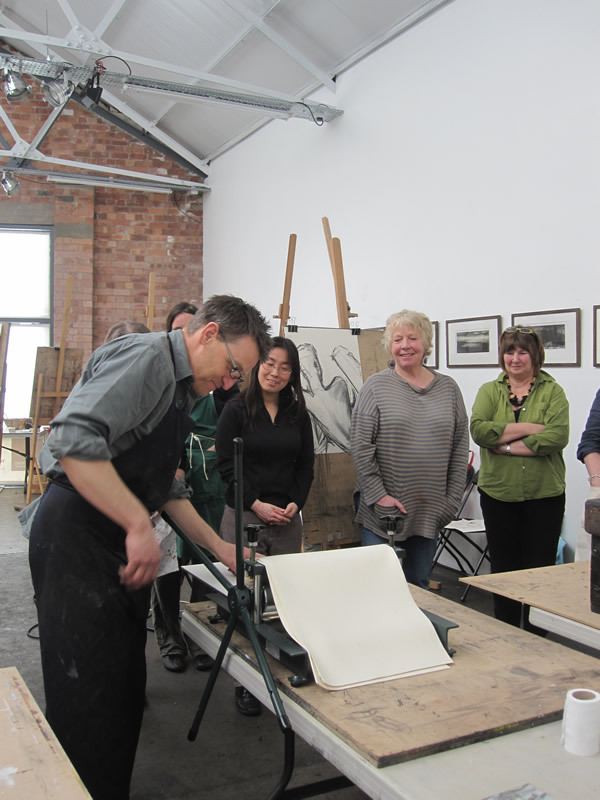 "Lovely that Jason showed tips and advice"
"Helpful tutor gives lots of info, different approaches to printing"
"Enjoyed the workshop and learned a lot – encouraged to continue printing!" 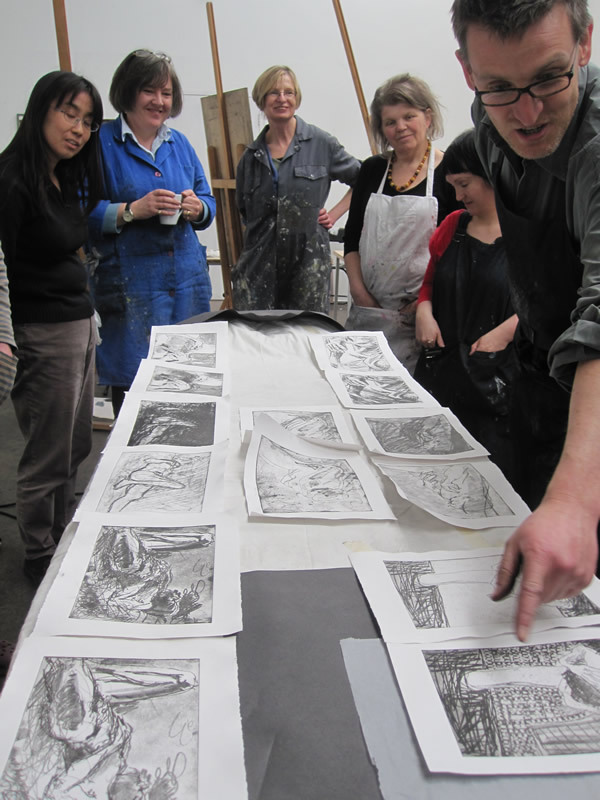 "Thank you very much for your hard work and organising – much appreciated"
"I have found both times I have attended a course I have been very inspired by the teachers and enjoyed the space"
We had a lovely evening last night with the artist and Royal Engraver Jason Hicklin. In July 2009 Jason and the artist Daphne Warburg Astor took a journey to Tory Island eight miles off the coast of North Donegal. Each day they set off from their tents to walk the island with their sketchbooks. 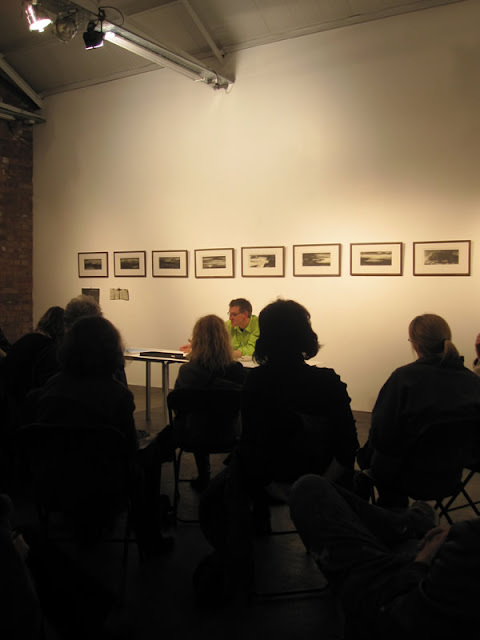 Jason’s response to has been a series of ten etchings and he talked us through these and his experience of the island. 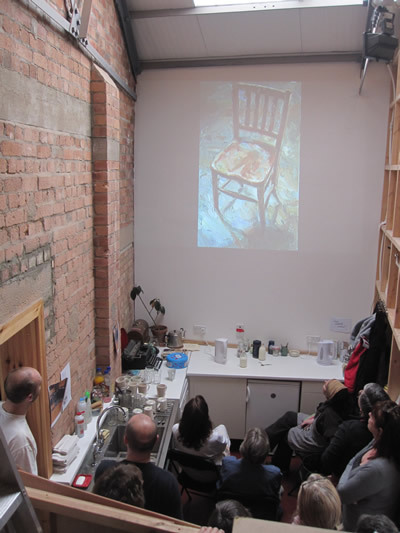 As always Jason was very honest and passionate about his subject which was inspiring to everyone present and we would like to thank him for coming and for his continued support of the Bristol Drawing School. 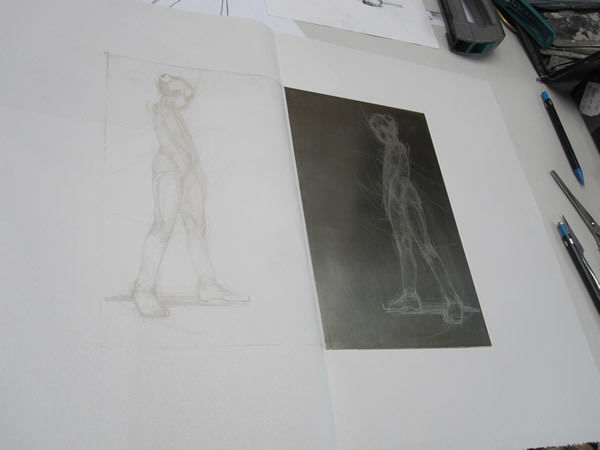 He'll be back with us in the Autumn for another of his popular Etching from Life workshops. 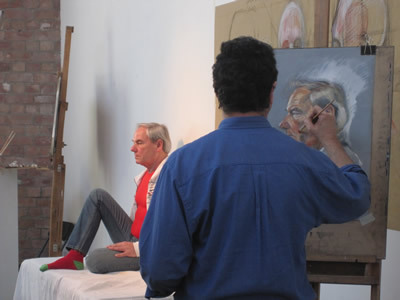 The artist Paul Wright ran our first Portrait in Oils workshops over the last couple of weekends as part of our loosely themed portraiture spring term. 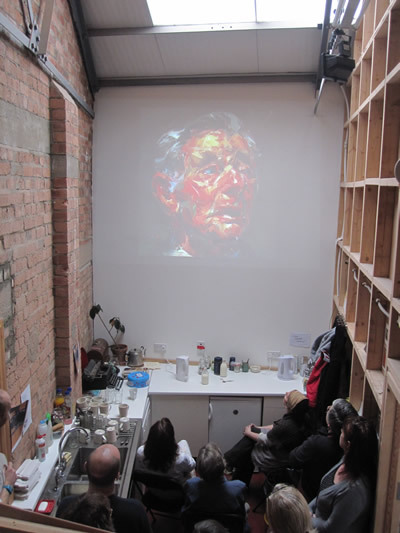 We only had him bookd for one weekend but this has proved do popular that we put on another weekend! 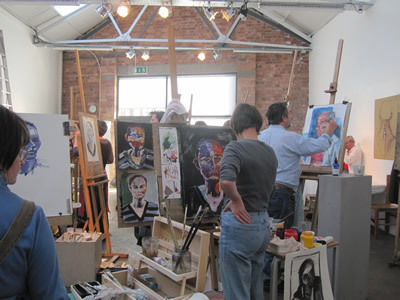 Don't worry if you missed out as he is coming back with a still life course in the summer and another portraiture one in December. 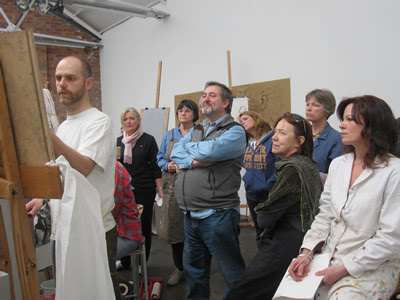 "Very approachable and friendly – inspiring – talented"
"Would like more of it!" "Very friendly. Thoroughly enjoyed myself and felt that I learnt a lot. 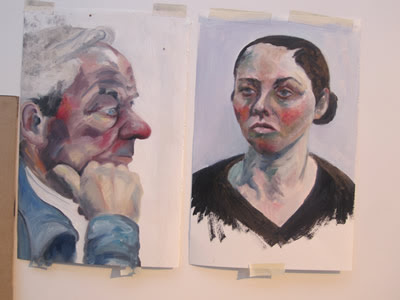 Paul was an excellent very patient tutor, very approachable." "Loved it – I’ll be back!"